How to prepare for GEP test? How to improve English, Math and General Ability Scores? Is GEP an elitist’s course? 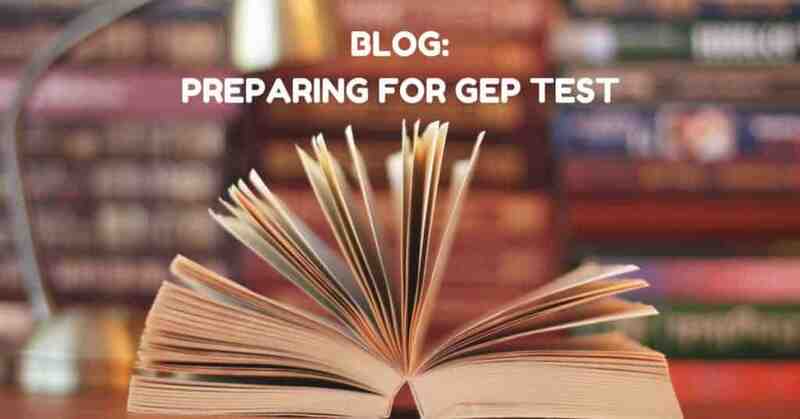 Story of GEP- Part 2 Preparing for the GEP test? Many parents, having realised the potential in their children, try all ways and means to improve their children’s chances in the GEP. In this post, we will address some of the issues encountered by many parents. How do we prepare our children for the GEP test? As mentioned in our previous blog post, the child must have the innate intellectual capability in order to pass the two rounds of selection tests. Indeed, over-preparation of the child may lead to resentment for learning. However, we do believe the right nurturing and exposure to a differentiated curriculum catered to high ability learners may optimize the performance of your child for any test he or she is required to go through. If preparation is not effective, how do we nurture our children to optimize their performance? How do we get our child to read ‘in context’ and apply vocabulary accurately in order to score well in the language component? Read articles and books that are of higher level of sophistication. Parents should deliberately expose their children to difficult words and have them work out the meaning from the context of the articles. The process will build up the level of grit in your child. To pique your child’s interest, have a pre-reading activity. You can show your child a video or share intriguing facts about a certain topic before getting your child to read up on it. This stimulates your child’s curiosity and motivates him or her to read. Magazines such National Geographic and Reader’s Digest, while useful, might not be effective if we just get the child to sit down and read it. Pre-reading discussions to arouse their interest are important. In language classes catered to high-ability learners, teachers usually dedicate a few minutes to go through current affairs with students and get them to voice their ideas and opinions. Before getting students to read a comprehension passage, teachers will lead a background discussion to stimulate interest and contextualise what is being written in the passage. Find out more about high ability English programme. (link to our English programme write up. How do we stimulate our child to acquire problem-solving skills in order to do well in the math component? There are many books that purport to develop your child’s problem-solving skills but may not be actually effective, so a careful search is required. Logic puzzles found in reputable books and online can unlock your child’s potential. Another way to ensure that your child has access to such materials is to enrol him or her in a class that has a differentiated curriculum with specially crafted worksheets for high ability learners to develop conceptual level thinking skills. These are designed specifically to develop your child’s problem-solving skills, which is different from a school exam based tuition class. Find out more about high ability math programme. How do I develop my child’s spatial reasoning? Spatial reasoning is the ability to think about three-dimensional objects and draw out conclusions about these objects given limited information. Generally, based on our observations, most Asian children are weak at spatial reasoning. Still, developing and teaching gifted students to improve their spatial reasoning is possible. Parents can use words that are related to spatial reasoning daily. Size: large, small, tall, short, big, tiny, gigantic, minuscule, etc. Spatial features: edge, sharp, pointy, curvy, straight, bend, wavy, meandering, etc. Activities such as tangram puzzles and origami require spatial awareness. Students who struggle with spatial reasoning may be taught to answer spatial questions using logical reasoning as an alternative method. This involves employing logical steps to answer questions systematically. On top of using this method, these mathematics lessons also incorporate the use of manipulatives (concrete objects, hands-on activities, tangram puzzles, etc) to help develop your child’s spatial reasoning. I feel GEP is an ‘elitist’ course, and not keen to let my child participate in the test. Why is there such a strong stigma against intellectual talents? Have you compared the GEP to other programmes found in Singapore Sports School and School of the Arts. If students are receiving special instruction in such institutions due to their natural talents in sports or fine arts, why should the intellectually gifted not receive such help? There are many domains of natural talents: in sports, art, music and intellect. Why should the GEP be considered ‘elitist’ when there is no such label attached to schools supporting art, music or sports? Many parents think that children from families with higher social economic status can be propelled into the GEP. While it may be arguable that children from more well-to-do families tend to attain more academic achievements, the GEP is not targeted at students who can ‘study a lot’ or ‘have the best tutors at home’. GEP is a differentiated programme for the intellectually gifted (it can be categorised as “special needs education” internationally). It is highly selective and only the intellectually gifted can make it through the selection process. There needs to be an innately high intellectual talent not too dissimilar from natural musical, sports and artistic talents. As parents’ awareness of the gifted education improves, more exposure and nurturing are given to kids. The average standard of performance of children has improved over the years. The GEP selection tests have become more competitive. Unfortunately, we do see very bright kids that didn’t pass the test due to lack of nurturing and exposure in their early years. My child is intellectually gifted but gets nervous when placed in an examination setting. How do I help him or her overcome this? An examination requires stamina and grit. Just as there is strenuous training for sports athletes and countless practice sessions for musical talents, intellectually gifted children also need to undergo ‘training’. Mock examinations may help to reduce nervousness in your child. Genuine words of affirmation and encouragement will help. Stable sleep cycle and sufficient rest. A balanced diet and regular exercise. Have positive reinforcement when the child does good or achieve something; this builds up confidence in the child. Instead of scolding the child when he or she makes a mistake, explain logically and rationally what happened and what can be done to prevent a repeat of the mistake. In our next blog post, we will be showing what the GEP entails for students who have managed to get into the program and what it takes to excel in it. We will address concerns parents might have for their students in the GEP, such as the depth of the curriculum and how it enables your child to develop to his or her fullest potential. Subscribe to our mailing list for more exciting stories on gifted education! Call us at 6467 1369 for programme enquiries. All content is subjected to copyright and not to be reproduced or republished. Feel free to share this post with your friends and family on social media! GEP Story 1: The Most Difficult Selection Test in the World?